Introducing the beloved trilogy that has captured the hearts and imaginations of the many fans of bestselling author Elizabeth Goudge. 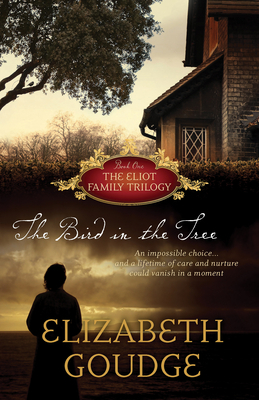 "The Bird in the Tree "takes place in England in 1938, and follows a close-knit family whose tranquil existence is suddenly threatened by a forbidden love . . . .
to put duty before love? Discover why so many have already fallen in love with this favorite of Goudge novels. Elizabeth Goudge was a British novelist (1900-1984) born into the home of an Anglican priest and theologian. She wrote children's books as well as novels--her "Green Dolphin Street" was made into an Academy-Award winning film. In style and themes she parallels English writers such as the creator of the Miss Read series as well mirroring the spiritual depth found in George MacDonald's Victorian novels. She won the Carnegie Award in 1947 for "The Little White Horse," which is J. K. Rowling's favorite children's book.